Darla’s first memories at the piano were with her mom sitting beside her on a long, wooden bench. In time they travelled to nearby Star City for lessons with Rose Arbogast every Wednesday after school. When they moved to Dalmeny, Darla studied with Bonnie Nicholson and, later on, with Robin Harrison. After completing her Performer’s ARCT and LTCL, she enrolled at Briercrest for two years, and was given the opportunity to travel as an accompanist with a 12-member music group to Austria and the Czech Republic. Here she was inspired to continue her music training, and four years later graduated the Film Society Prize winner from the U of S with a Bachelor of Music in Piano Performance. During that time she continued her studies with Bonnie Nicholson and enjoyed accompanying singers and instrumentalists for their recitals, as well as for the Music Theatre Ensemble and the Greystone Singers. 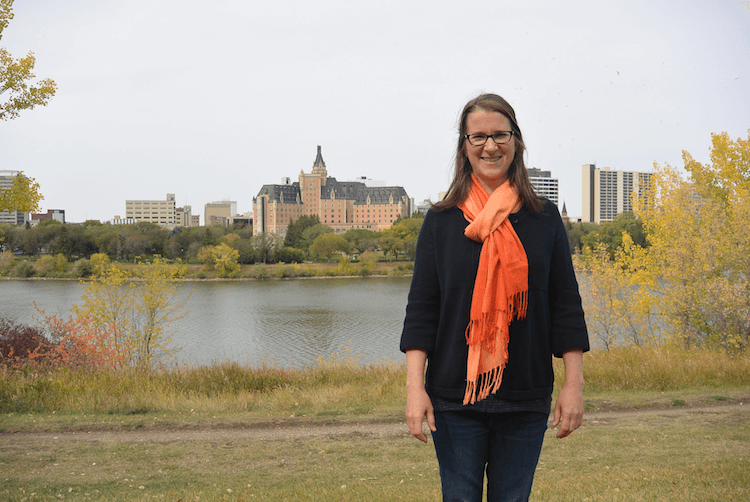 Along with taking care of her husband, Paul, and their six children, Darla also very much appreciates making music here in Saskatoon with fellow music makers.